If you’ve ever used rubbish disposal Barnet EN5 in the past then you will know that sometimes not everything goes to plan. Sometimes unprofessional firms take advantage of your situation or charge you over the odds for a service that is below par or exceptionally poor. However, when you hire Handy Rubbish you are guaranteed to get an exceptional service from a reliable and trustworthy team of Barnet waste disposal professionals. All of our workers are experienced at organising Barnet EN5 rubbish removal and can work quickly and carefully in any home, office or outbuilding. 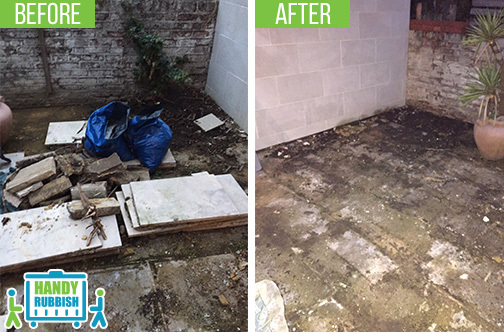 So if you need one-off or regular rubbish removal service, give us a call now – 020 3540 8282. Our waste collection in Barnet are above and beyond those offered by any other local firm and will always leave you pleased with your final decision! Do you have an old cooker, fridge or TV that you need to throw away? Then why wait around for the scrap man to turn up or hide it away in the garage when our waste removal EN5 professionals can pick it up ASAP. Our commercial and house clearance services include the removal of all sorts of furniture, electrical items, junk and waste and can help you to keep your home clean and tidy. If you have a room full of stuff that you no longer need then our workers can even take care of this for you no questions asked. So if you’re trying to redecorate, rejuvenate or just clear out your home, remember to check out our Barnet rubbish clearance EN5 offers. 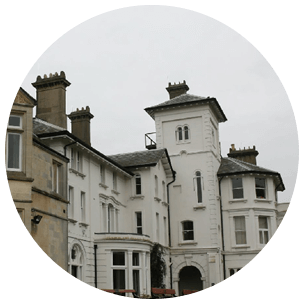 Popular with commercial properties, our regular rubbish removal services in Barnet can really help to you to simplify your waste management. So if you have large amounts of waste which is proving expensive to dispose of via normal methods, why don’t you give us a call on 020 3540 8282 for a free quote! Our Barnet waste clearance services can help you to save money and stop worrying about how you can manage your waste effectively. With strict waste limits on residential properties, we can even help you with your everyday rubbish removal so that you have one less thing to worry about! Highly recommend this rubbish removal service in Barnet. Great communication, punctual and tidy up afterwards. Thanks Handy Rubbish! The best waste collection company in Barnet! They did a fabulous job in EN5 for a fraction of the price I would pay elsewhere! The Barnet district is a suburban area of north London that is 10 miles from the central station of Charing Cross. With its own tube station known as High Barnet, it is in zone 5 of London’s transport districts and is at the very end of the Northern Line. In addition to this, it also has its own over-ground train station which leads out towards Welwyn Garden City or closer in towards the central zones. Located at the very edge of the city, it is a relatively quiet area that has a small town-feel. Largely self-contained, it has its own range of high-street shops, coffee shops and pubs. Houses here tend to be below the London average, making this a quiet area that is affordable and relatively well-connected to the centre. Surrounding towns include Monken Hadley, Whetstone, Arkley and Oakwood, as well as Totteridge, Southgate and Hadley Wood. Part of the London Borough of Barnet, the EN5 and N2 areas are privy to large country areas and beautiful suburban housing. The Barnet Museum is also a popular place for history-lovers and has a wealth of interesting archaeological pieces that are local to the area.